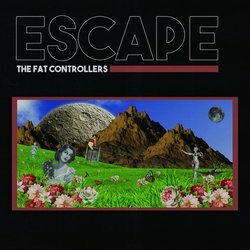 Western Sydney four piece The Fat Controllers create a smooth but full alternative rock sound! The minds behind their unique sound, Gerard, Diego, Jake and Harri all like to make music, muck around and just enjoy anything and everything thrown their way. The Fat Controllers have started their 2018 strong signing to Waratah Records and are approaching their debut single release ‘Rather Be’ they are set to hit the Sydney streets and show you what they are made of!